Download a text only version of Charities Update. Kia ora koutou, talofa lava and warm greetings. This is the last Charities newsletter for the year – and what a year it’s been! There has been a huge amount happening in the Charities “space” over the past year for the charitable sector, and also for Charities Services. We have been out and about a great deal during the year, speaking with charities at the reporting standards seminars with the XRB, our Annual Meeting, and at sector events and seminars. It’s been great to get your feedback and know that you have been finding the seminars, in particular, to be helpful. We work very hard to balance our role as a regulator of the sector, our obligation to apply the law, and our mandate to provide support and guidance on governance and management. Of course, the reason we do this is to help charities to maintain and build public trust and confidence, so the public are willing to support their chosen charities. The online Charities Register is the “open book” that the public can read at any time, to find out more about the sector and individual charities, and use to make decisions about where they direct their support. The transparency that it provides is a key driver of public trust and confidence in charities, so we have also done a great deal of work during the year to ensure that the information on the Register remains up to date and accurate. Most charities file their Annual Returns on time and maintain up-to-date details, but a small number don’t, and we have been working with them to update their information. If you have been to one of the workshops about the new reporting standards (there are more being planned for next year), you will also be aware of how valuable the non-financial information that you file with your Annual Return can be, to help keep your donors and supporters well-informed, and potentially attract new donors. We really encourage you to tell your charity’s story in the Annual Returns that you file, so donors can clearly see how the funds they donate are being used, and feel confident about continuing to support you, and helping those in need. The Charities Services team wish you a very happy, and relaxing holiday break, and hope that you have time to recharge, and come back refreshed and ready to start 2015 with renewed energy and enthusiasm. Meri Kirihimete, la manuia le Kilisimasi ma le tausaga fou, and Merry Christmas! Charities Services’ office will close for the holiday break at 1pm, Wednesday 24 December 2014, and re-open at 8.30am, Monday 5 January 2015. If you call our 0508 CHARITIES (0508 242 748) free information line and leave us a message or email info@charities.govt.nz during this time, we will get back to you after our office re-opens in 2015. You can access the Charities Register, and your charity’s account at any time though, and file Annual Returns that fall due during the holiday period. Earlier this year, Charities Services commissioned our fourth biennial survey of public trust and confidence in charities. The survey was carried out by Horizon Research, who asked 2,722 respondents, measuring their trust and confidence in charities on a rating scale of 0 (no trust at all), to 10 (complete trust). The survey showed a 7 per cent increase in trust around charities managing themselves well, an 8 per cent increase with regard to spending money wisely and effectively, and a 12 per cent increase in perceptions that charities’ ensure a reasonable proportion of donations get to the end cause. The survey showed a slight rise in the public’s overall trust and confidence in charities. The 2014 mean is at 6.0 compared with 6.45 in 2010, and 5.8 in 2012. The percentage of respondents now ranking their trust in charities at 9 or 10 (“I trust charities completely”) has grown from 5% in 2012 to 8.9% in 2014. What makes people feel trust and confidence in charities? The research also has some useful indicators of how donation methods are changing over time. Generally the use of more mechanical methods of donating (such as posting cheques) in response to a postal or telephone appeal is steadily diminishing. However, as people’s relative trust in charities grows, their giving trends upwards, and this is reflected in the use of online giving. The results indicate that people’s willingness to give continues to be strong, and that the amount given may actually increase over the next 12 months. Charities Services is analysing the survey results to support its upcoming work programme with the sector. We will use the survey findings to build charities’ awareness of what they can do to build the public’s support for their governance and management. You can read the research summary, and the full report on the research on our website. With a successful programme of seminars on the new reporting standards drawing to a close earlier this month, Charities Services is gearing up for a busy schedule of workshops throughout the country from March/April right through until June of next year. “The workshops will focus on the information that Tier 3 and Tier 4 charities need to collect so they can report using the new reporting standards at the end of their financial year”, says Mike Wiles, Manager Capability and Engagement. Registrations for the 2015 workshops will open early in the new year – keep an eye on your inbox for our news alert. In the meantime, work out which tier you will report in (see below) so you can come prepared next year. Because the requirements for Tier 3 and Tier 4 charities are different, separate sessions will be held for each of these tiers. It’s important that you work out now which tier you’ll report in, so you attend the right seminar. See Which tier will I use? for more information. We’ve recently updated the new reporting standards page on the website. You’ll find information about the new statutory audit and review requirements, financial reporting and control relationships, and a video of the recent NRS webinar. Stay tuned in early February next year for a radio interview between Sarah Doherty, of Charities Services’ Capability and Engagement team, and Ros Rice of Community Networks Aotearoa, on Access Radio’s Collaborative Voices programme. (We’ll let you know the actual broadcast time and date before the interview is aired). Sarah and Ros will be discussing the new reporting standards, what they mean for charities, and what they mean for the public, donors and supporters of charities, who view registered charities’ information on the Charities Register. Many charities have already attended the new reporting standards seminars that have been held across the country, and more are planned for next year. Sarah says that she is looking forward to speaking with Ros about the new reporting standards, having been out on the road for much of the year helping to deliver seminars and answering questions from charities about what the new standards mean for them. Every registered charity is unique – and to reflect that, each charity has its own unique registration number, given to you when you are accepted for registration. Your registration number is a simple, handy promotional tool, which you can use to differentiate your charity from non-registered organisations, and help encourage public trust and confidence in your charity and how you use your funds to make a difference. Handy tip: make sure your fundraisers and volunteers know your unique charity registration number, and how to find your charity’s entry on the Charities Register, so they can provide assurance to donors. The Department of Internal Affairs has launched a new online service for requesting grants and community advisory services. It replaces Grants Online and a range of paper-based systems that had been used for many years. In the four weeks since the Lottery Community funding round opened in the new system, more than 1,150 people have already logged in using RealMe and are active in the system, with requests for Lottery grants. One grateful community member delivered flowers in thanks after years of issues with the previous system! One feature that users have really welcomed is the “profile secretary” that enables you to create and edit a profile for yourself and another for your organisation, and which pre-populates many of the request form fields for you – it’s much simpler and easier, and a big time-saver! (We suggest that organisations appoint just one person and perhaps a “back-up” who can edit their organisation’s profile, to avoid double-ups). Another of the features of the new online service that users have said they really like is the shift to asking about the outcomes the grant is intended to help deliver, rather than just focussing on how the funds will be spent. This will change the approach for the various committees that make the decisions about distributing the funds that are available. Lotteries Community grant requests are the first to be made available through the new system, and as new funding rounds open, they will be added, so (in time) you can use the same online service to apply for other funding and grants administered by the Department. Did you know that the Department’s community advisors are available to help communities, hapū and iwi, by providing a range of advisory services and support? You will soon be able to request these services using the new online system as well. Although the new online service is very intuitive, and we had great feedback about how easy it is to use from the people who trialled and tested it for us, we’ve also produced a special edition of the Community Matters publication, which steps you through what you need to do to access the new system. And of course, the Department will keep updating www.communitymatters.govt.nz with information about when the funding rounds open and any changes to criteria or requirements. Both resources will help answer all your questions. While many charities, NGOs and social enterprises have integrated social media into their strategies in some way, many are still far from making the most of social media as a fundraising tool. By embedding social media throughout the fundraising process, you can turn interest into action and - ultimately - donations. Here’s how. Keep an eye on likes, shares, comments or hashtags on social media, and strike up conversations with like-minded people. Tap into established communities and groups. Engage directly by asking and answering questions, and listening to what your followers have to say. Create content such as photos, videos and blogs that bring your cause to life. Tell stories about your volunteers, the projects you’re working on, and the people whose lives you touch. Show people what they’ll be contributing to if they donate or fundraise for your cause. Make sure you’re set up to receive donations through online and mobile channels. Thank your donors and supporters on social media by sharing photos, videos and stories of how they have helped. Use a familiar tone and recognise donors as individuals. Include social sharing buttons on the last step of your donation process – such as a thank you page – so supporters can share with their networks. Include calls to action to let others know how to get involved. Google Ad Grants is a programme which allows New Zealand registered charitable organisations a grant of $10,000 per month in AdWords advertising for use on Google, enabling your charity to advertise events, fundraisers and campaigns on Google for free. Most types of academic institution including schools and universities. Apart from these restrictions, most charities are able to apply for the programme. Acceptance generally takes a few days, which means you can get started very quickly. 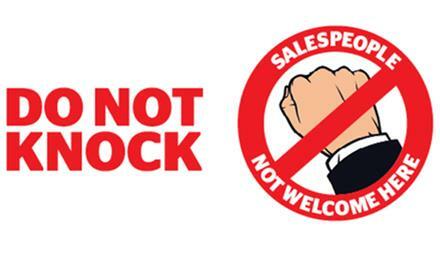 Charities and religious groups are exempt from a new "do not knock" sticker being distributed by Consumer NZ. Door-to-door salespeople risk being trespassed if they ignore the stickers which are being distributed for free by the consumer watchdog. But Consumer says the stickers are not intended to prevent door-knocking by religious advocates or charitable organisations. The campaign was in response to serious complaints received by Consumer NZ about door-to-door sellers, many of which involve elderly or vulnerable consumers, pressured to sign up for products they don't want and can't afford. The newest ideas, engaging speakers and networking opportunities aplenty are in store. FINZ is also offering a wide variety of sessions for mid-career and experienced fundraisers. With more charity speakers than ever before, you’ll learn directly from NZ non-profits what’s working, what isn’t and what is on the horizon. Learn more at finz.org.nz/2015conf. Early bird rates end 1 April. Philanthropy New Zealand's biennial conference, the Philanthropy Summit 2015, is being held in Auckland on April 15 & 16, 2015. Find more information about the conference.